A Colorado native, Dehric graduated from Pensacola Christian College in 2016 where he graduated with dual degrees in business and youth ministries. Having grown up at Trinity, it was natural to have a passion for ministry here to young adults. 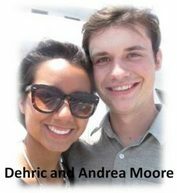 Dehric met his wife Andrea at Pensacola Christian College. They were married in May, 2017, and embarked on a short-term mission trip to Africa in July. They served with Love Africa Mission at the Coburwas Primary School, CIYOTA foundation, and Kyangwali Refugee Settlement to work with people displaced by war and violence. Andrea now serves as Director of Children’s Ministries.